But now I see that this photo is so obviously her. The twinkle in her eyes. 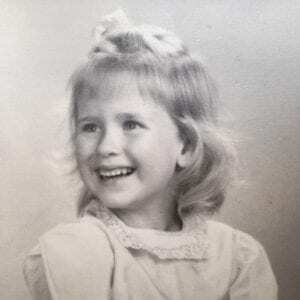 But mainly her smile, which looked exactly like that throughout her life, even the last week of her life in hospice, as her essence slowly faded away and yet her spirit was strong. She’s been gone for close to 7 months. Yes, I do miss her. But I had such a close relationship with her that it seems to void the hollow of grief. The richness of our connection, how deeply I felt her love, being with her daily the last 8 months of her life, as well as the prior 41 years of her being my champion, overrides the ache of having her gone. I’m so grateful that she was my mom and I feel her presence today in little ways and the love she gave me still flows into my life.